Soft exterior silicone skin design keeps safe for your iPod; Adds a "lip" to your iPod so you can place it screen-down and not worry about scratches. The most secure and stylish way to carry your iPod while offering protection when it is removed. NOTE: The screen protector has 3 layers. Remove the top layer by peeling off the sticker. Affordable way to protect your iPod Touch screen from scratches, drops, dust and daily wear. Only premium materials and expert design go into this "Best-In-Class" product. 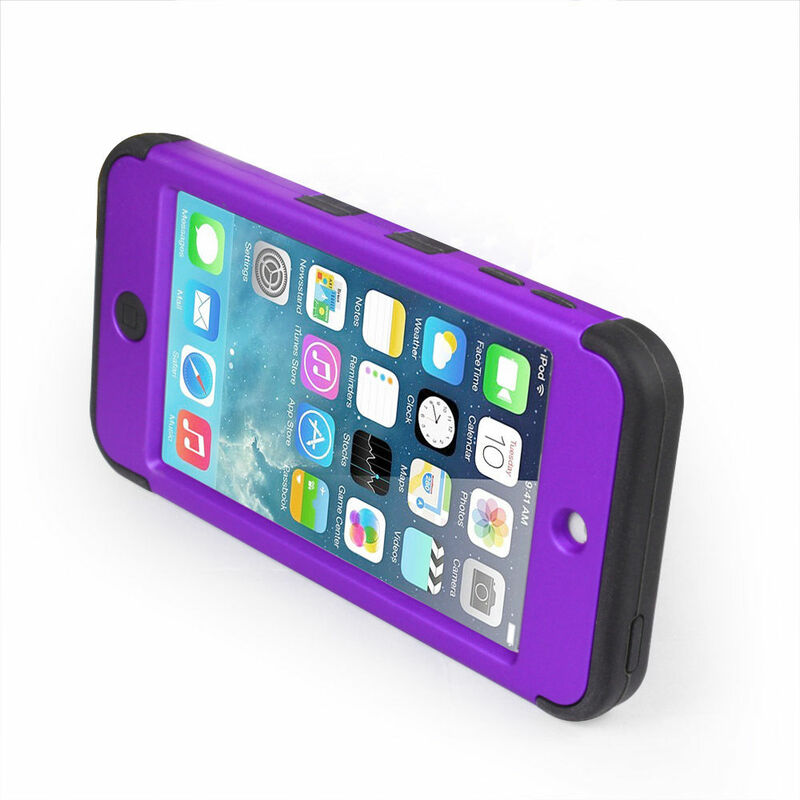 1 of Premium Shock Absorbing Hybrid Defender Armor Rubber Case Cover for Apple iPod Touch iTouch 5th./6th. Gen.
9 of Premium HD Japanese Material Screen Protectors.